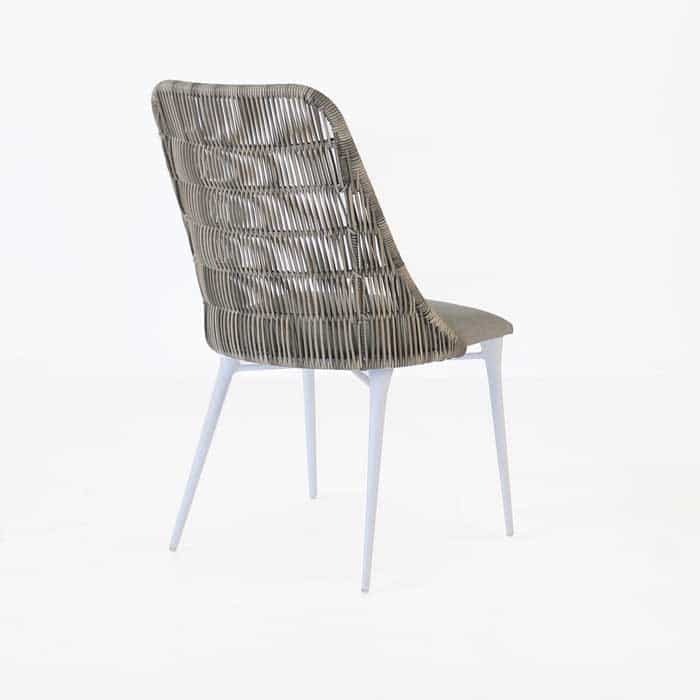 A gorgeous contemporary dining height chair made with a combination of powder-coated aluminum and stylish synthetic outdoor wicker. 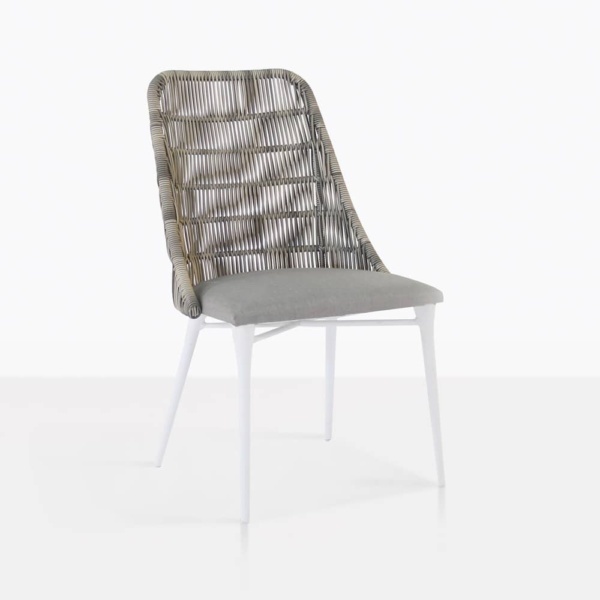 The neutral color palette allows for an easy to love piece that will work in any setting and the maintenance on this outdoor dining chair is minimal. 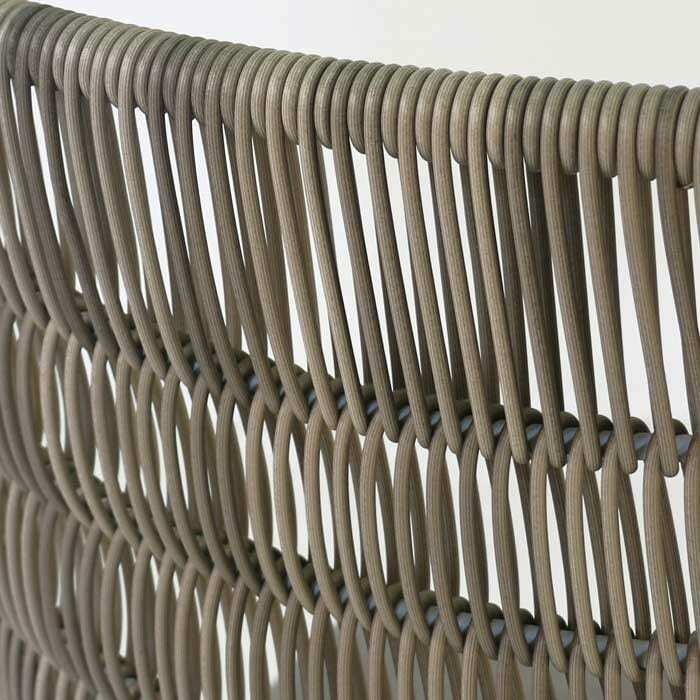 It has a round weave that is tightly wound over the powder-coated aluminum frame. 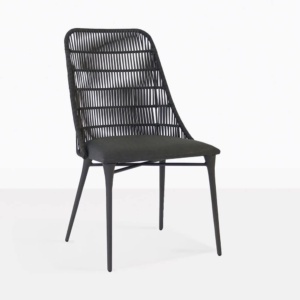 This is a lightweight outdoor dining chair that is equally at home with traditional furniture as it is with modern or contemporary pieces. 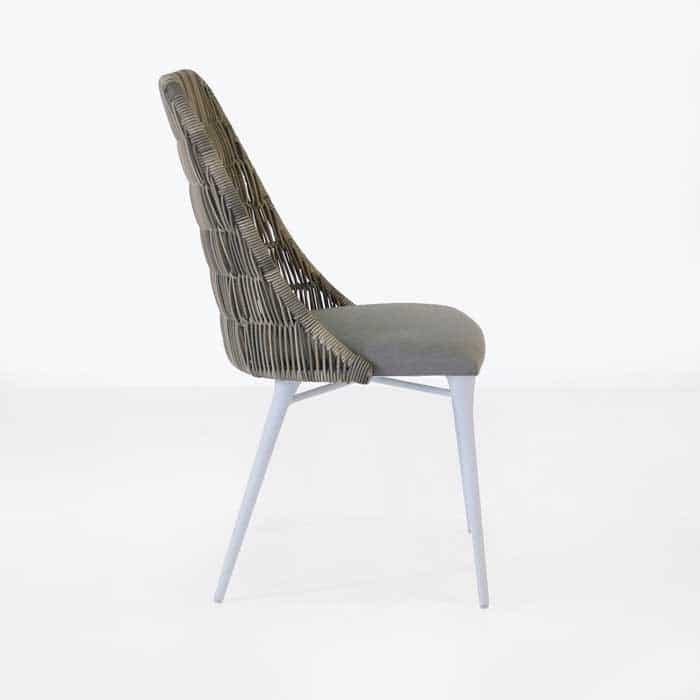 Elegant, simply designed and built to last from durable materials.